Aqua Vale open day with Rebecca Adlington. More than 4,000 people took part in a free family fun day attended by Olympic swimmers Steve Parry and Rebecca Adlington. 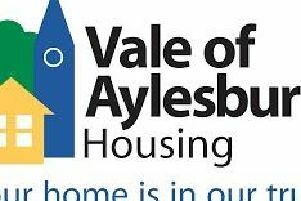 Aqua Vale Swimming and Fitness Centre welcomed threw its doors open for the day on Saturday, January 7, in partnership with Aylesbury Vale District Council and Total Swimming. People of all ages arrived at the Everyone Active centre to take part in a range of free activities including family swimming and pool inflatable sessions as well as group exercise and personal training taster sessions, and use of the gym. Children were kept entertained all day with face painting and balloon modelling, so there was something for everyone. Steve and Rebecca were joined by other swimming athletes who were hosting demonstrations and activities. Young budding athletes took part in water polo, competitive swimming, synchronised swimming and rookie lifeguarding. The athletes were also at the centre all day to meet people, take selfies and sign autographs. Aqua Vale Swimming and Fitness Centre also launched a new indoor cycling studio, with popular taster sessions running throughout the day. Everyone Active also hosted a prize draw to win an amazing hamper of prizes worth £3,500, won by Linda Ottonello and her daughter, from Aylesbury.